Don't take your peepers for granted. Protect them with these tips. Gazing at the vast ocean, taking in a double feature, admiring your loved one's smile — none of these things would be possible without your eyes. But because seeing is such a commonplace activity for most people, it's easy to take your eyes for granted. The good news is that it's not difficult to maintain eye health. Here are nine ways to protect your eyes so they can continue to provide you with gorgeous views and precious sights. Ultraviolet rays can literally burn your eyes, much the same way they can burn your skin. The symptoms: red, itchy, or gritty-feeling eyes. This kind of discomfort is usually short-lived, but researchers have found that long-term exposure to UV rays can have a permanent affect, including cataracts and irreversible damage to the retina. So be sure to wear sunglasses whenever you spend time outside — even if it's cloudy. Which shades are best? The American Optometric Association recommends sunglasses that block both UVA and UVB radiation, screen out 75 to 90 percent of visible light, are free of imperfections and distortion, and have gray lenses for proper color recognition. The old recommendation that carrots are good for your eyes has some truth. That's because carrots contain the carotenoids lutein and zeaxanthin, which are naturally found in the eyes and which can help ward off cataracts and macular degeneration. That said, you're much better off taking a cue from Popeye rather than Bugs Bunny. 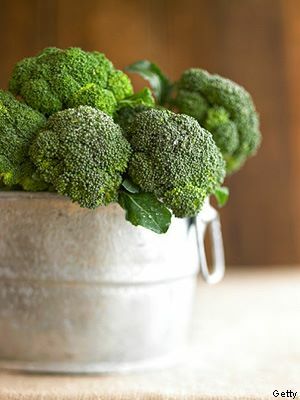 Carotenoids can be found much more plentifully in leafy green foods, such as kale, collard greens, spinach, turnip greens, and broccoli. What do certain sports and household chores have in common? They both pose a threat to your eyes. 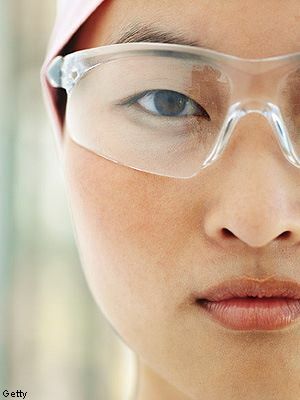 In fact, more than one million people suffer eye injuries in the United States each year, 90 percent of which could be avoided with the proper protective eyewear. So whether you're working with chemicals like bleach, using a machine that can send objects flying (like a lawn mower), or playing racquetball, be sure to use appropriate eyewear. The American Academy of Ophthalmology recommends that safety glasses or goggles have the code "ANSI Z87.1" written on the lens or frame. This indicates that they've met the safety standards of the American National Standards Institute. 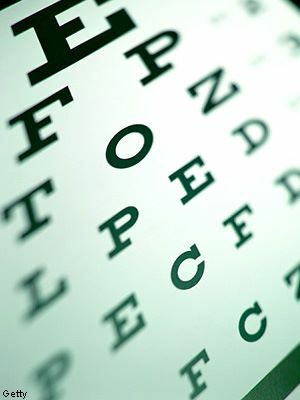 Many eye diseases and disorders can be prevented or corrected if they're caught early. Not only do regular visits to your eye doctor help ensure an early diagnosis, but you can also get an up-to-date prescription for eyeglasses or contact lenses. The American Optometric Association suggests that children have their eyes examined at six months old, three years old, before the first grade, and then every two years until their eighteenth birthday. Adults between the ages of 18 and 40 should have their eyes checked every two to three years, 41- to 60-year-olds require an exam every two years, and adults over 60 should have an annual eye exam. If you're at higher risk for eye diseases, because of diabetes, hypertension, a family history of ocular disease, or daily use of contact lenses, talk to your doctor about how often you should get your eyes checked. Carrots and spinach are not the only foods that are good for your eyes. Recent studies have found that foods rich in antioxidants can also reduce your risk of developing age-related eye disease and cataracts. 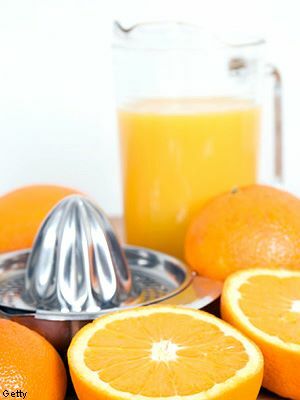 So boost your intake of antioxidants by eating a combination of vitamins C and E. Papaya, cantaloupe, strawberries, green peppers, oranges, and grapefruit are excellent sources of vitamin C, while vitamin E is found in foods like almonds, sunflower seeds, peanuts, and safflower and corn oils. If you're like many Americans who spend countless hours staring at a computer screen, be warned: You may be at risk for developing computer vision syndrome (CVS). The symptoms include eyestrain, headaches, blurred vision, and dry eyes. CVS usually wanes after you've stopped using the computer, although certain symptoms may persist. If you're bound to your computer, take these precautions: Set the center of your computer screen 4 to 5 inches below eye level and 20 to 28 inches away from your eyes. Reduce glare by using lower-wattage lightbulbs overhead and closing curtains or drapes. Finally, try to blink more often, and rest 15 minutes after every two hours of computer use. You might be among the 40 million-plus American workers who cannot afford routine eye exams, or perhaps you decided to opt out of the vision portion of your health insurance plan to save a few bucks. But in order to maintain eye health, it's important to visit your doctor regularly. 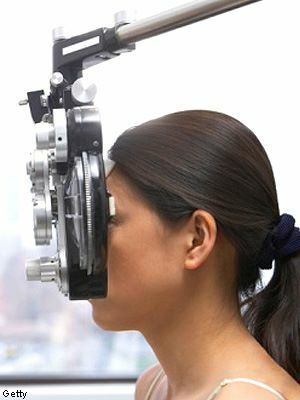 In fact, many eye disorders have no warning signs and can only be detected by a professional. So be sure to explore vision plan options at your workplace. You may even be eligible for low- or no-cost programs, so do your homework. The cost of regular eye doctor visits will be worth it in the long run. 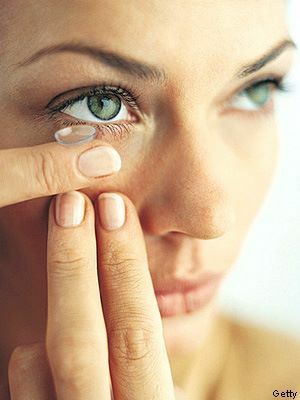 Sure, contact lenses give the bridge of your nose a much-needed rest from your glasses, but don't let them put your eye health at risk. To avoid problems like irritated eyes, fuzzy vision, pain, and discomfort, be sure to always wash your hands before handling your contacts. Also be sure to do the following: Clean and store your lenses only in fresh solution, replace your contacts as directed, and remove your contacts before swimming or entering a hot tub. Not only is it important to see your eye doctor for routine visits, but you should also know the warning signs that might necessitate a more immediate visit.Call your eye doctor if you have difficulty adjusting to light or dark, trouble focusing, unusual sensitivity, a change in the color of the iris or lids, pain, double vision, dark spots or halos, dry or watery eyes, flashes of light, or loss of peripheral vision. When your vision is compromised, make sure a friend or family member drives you to your appointment.